Customer: ČESKÁ RAFINÉRSKÁ, a. s.
Investor: ČESKÁ RAFINÉRSKÁ, a. s.
Description: Replacement of the pipeline systems in the NRL (New Refinery Litvínov) unit. 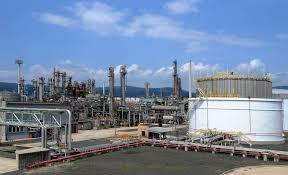 ZK - TERMOCHEM was engaged as EPC contractor. The project consisted of engineering works (detail design), delivery of material, erection and all the related works.